Volkswagen subsidiary Electrify America said it plans to install more than 2,800 electric vehicle (EV) recharge stations in the U.S. by June 2019. The recharge stations will go into residential and workplace locations, addressing one of the most pressing issues facing EVs -- keeping their batteries charged. Current EV models are limited to a range of around 200 miles or less, though Tesla recently unveiled a prototype roadster with a range of 600 miles. Unlike hybrids, that have a small gasoline engine that recharges the battery while the vehicle is being driven, EVs rely solely on an electric battery. Akshay Anand, analyst for Kelley Blue Book, said Electrify America's announcement is significant for the future of electric cars. “One of the main hurdles automakers have faced in getting consumers to jump into electric vehicles has been accessibility of charging stations," Anand told ConsumerAffairs. "Volkswagen is one of the first big automakers to announce large-scale charging station plans, and the hope is that this causes a ripple effect for other OEMs." The 2,800 charging stations will be at about 500 sites, meaning all sites will be able to charge several EVs at a time. Because the stations use what is known as a Level 2 protocol, charging speed will be a little faster than normal. With every hour of being plugged into a Level 2 charging station, a vehicle should gain 20 to 25 miles of driving range. Because the charging stations will go into residential and commercial areas, EV owners will be able to charge their vehicles while they are at work or asleep at home at night. 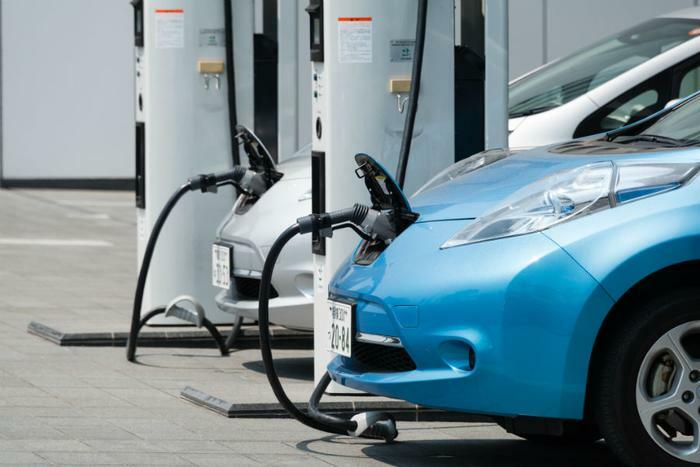 McNabb says three quarters of the charging stations will be installed at workplace sites, since that's generally where consumers would have their cars parked for the longest period of time. Residential installations will be built at apartment buildings, condos, and other high-density housing developments. Despite the popularity of specific EV models like the Tesla Model S, EVs have been slow to catch on in the U.S. As of last December, cumulative sales totaled around 570,000. Anand says investments like the one VW’s subsidiary is making could change that. "Coupled with expanding range and more EV segment accessibility, actions like this one could be catalysts for electric being successful sooner rather than later,” he said.